Video: Dance "Falling Ginkgo leaves and Koi"
Falling Ginkgo Leaves and Koi from Hilary Pierce on Vimeo. Video of a beautiful performance of "Falling Ginkgo leaves and Koi". Choreographed by Hilary Pierce for the Yalah Bi-College Bellydance Club at Bryn Mawr College Spring 2015. One of the largest Ginkgo trees in Japan. This tree has many chichi. Chichi-ichou, Ichomagi, Miyagino Ward, Sendai, Miyagi Prefecture. 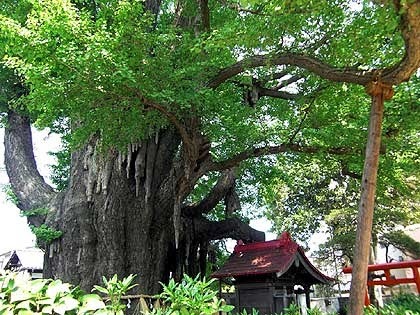 Estimated 1,000 years old. Spring! This Ginkgo seedling has germinated from a seed I collected in Spain. It is growing fast and will soon unfold its first leaves. 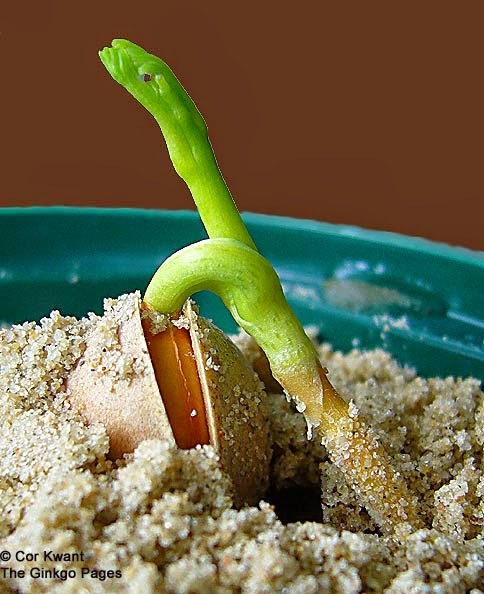 More photos of Ginkgo seed development on my website. Happy Easter! 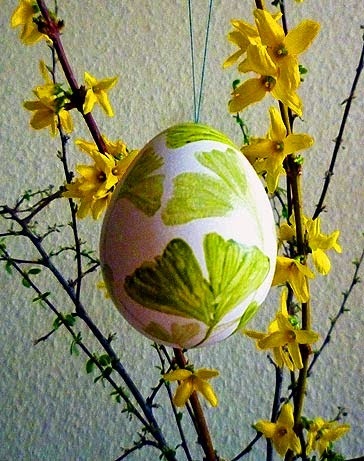 Egg with painted Ginkgo leaves. Egg painted with Ginkgo leaves. Photo sent to me by my Ginkgo-friend Wieland Haak, thank you!